The idea that something is monolithic — India, Hinduism, religion — is, in my experience, one of the most enduring misconceptions people can have when they begin to learn about a topic. 1. India is not monolithic. There is no one single India; rather, it’s probably better to think about Indias. (This is similar to a point I made here about Hinduisms, Buddhisms, and the like.) We can see different languages, such as the Sanskritic ones in the north (with the horizontal bar linking letters) and Dravidian ones in the south (with the rounder letters). There are real cultural and linguistic differences that a map such as this one points to. 2. The other idea, which is in many ways, a restatement of the first point, is that India is internally diverse. The idea of internal diversity is central to the cultural studies approach to religion, but it’s not always the most intuitive one for students to grasp. With an abstract idea such as this one, I often find that seeing something grounds understanding better than just hearing something (for example, if I simply tell students that India is internally diverse), and I think this image is a good way to help students see the internal (linguistic) diversity of India. This visual also has real value as a schema — a way to help organize subsequent knowledge. Even though this map is about languages, I can refer back to it when we begin to study Hinduism and Buddhism to remind us that these religions, like India, do not speak in one voice. 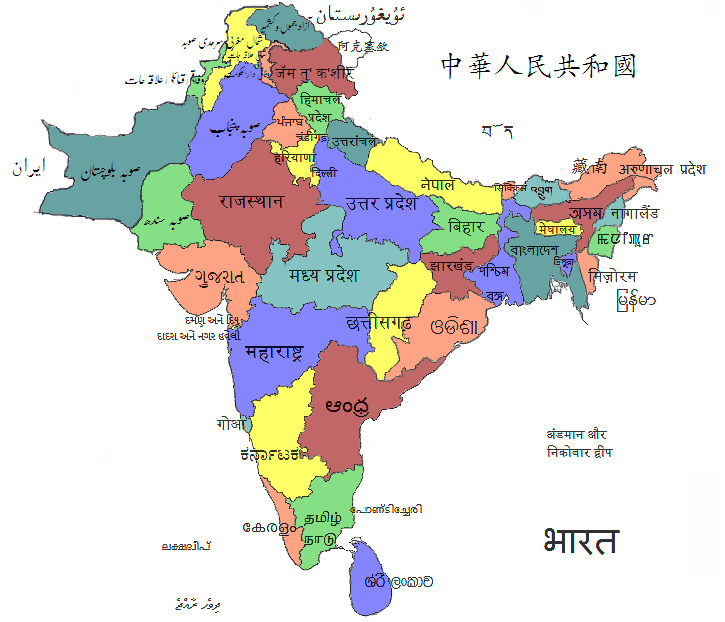 This entry was posted in Teaching and tagged diversity, Dravidian, Hinduism, India, languages, map, Sanskrit, teaching, World History by teachingasianreligions. Bookmark the permalink.